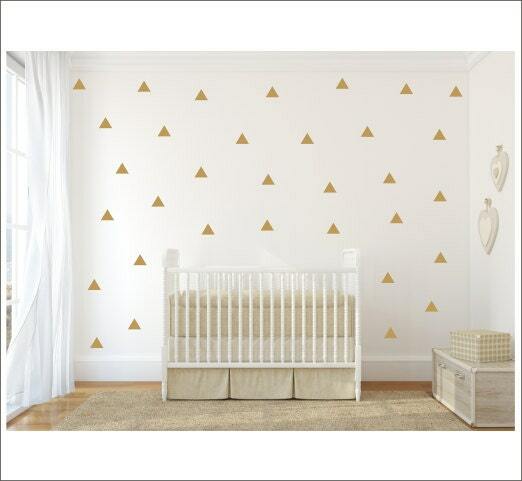 Size (per triangle) Qty of 49 @ 2.5" Qty of 25 @ 3.5" Qty of 20 @ 4.25"
Add a modern touch to your decor with my triangle decals! Decals are made from high quality Oracal brand indoor vinyl that applies and removes easily. 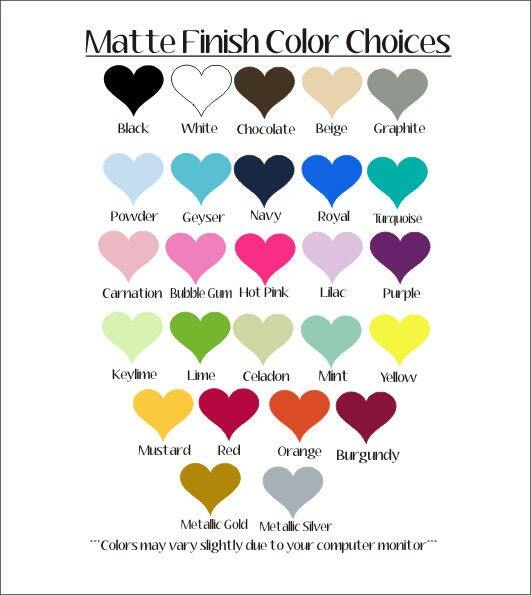 Perfect for a bedroom, nursery, home office, or anywhere you want a touch of style! These triangles are sold in various sizes/quantities. Please make selections from drop down menus in upper right hand corner of the page. ***Please Note*** Each triangle is a separate decal. These will have to be applied one by one, arranged in any pattern, or however randomly you'd like. Decals are applied with a piece of transfer tape. Also Note-The example pic is not an actual photo. It is a stock photo, with the triangles layered in digitally using my graphics program. It's very important to take a tape measure and visually mark off how much space a decal will encompass. This helps you determine the size/scale you desire. 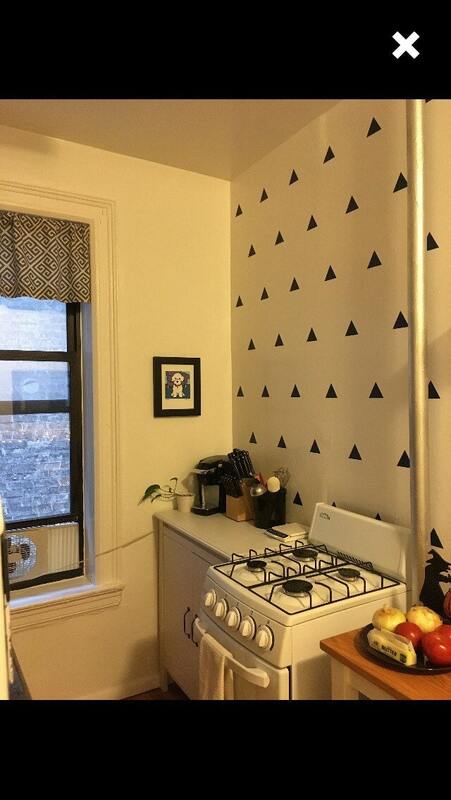 Decals were just like the photo! Received it very quickly and easy to apply! Very pleased with my purchase.